Human wellbeing (HWB) is multi- faceted and can be enhanced, or negatively affected, by our daily experiences, such as the quality of our work life and personal relationships, our engagement in physical activity and adherence to a healthy diet, and opportunities to participate in cultural activities. Many facets of wellbeing are directly related to the health of the natural environment such as the ability to release stress in a peaceful forest or a thriving local economy derived from sustainable shellfish harvesting. The status of our wellbeing can influence the way we make decisions that affect the environment and the status of those resources, in turn, can affect our wellbeing. In many cases, this perspective is left out of ecosystem recovery. Because of a growing understanding of the relationship between HWB and the status of natural resources, planning for and monitoring human wellbeing as a component of ecosystem recovery is a growing trend. Within the Puget Sound specifically, the Puget Sound Partnership has a placeholder for quality of life indicators and the Hood Canal Coordinating Council (HCCC), a watershed- based council of governments, has identified nine human components of interest for their Integrated Watershed Plan, a coordinated strategy to guide natural resource-based actions. The actual incorporation of human wellbeing into these types of policies has been limited, however, because of a lack of guidance for developing indicators to begin addressing HWB in practice. The Hood Canal is a 60-mile long fjord in the western Puget Sound (Figure below). The HCCC has been leading a community-based process to develop an Integrated Watershed Plan based on visioning, establishing goals and selecting priority strategies for the health and wellbeing of Hood Canal ecosystems and residents. The Puget Sound Institute collaborated with the HCCC to develop a process for selecting HWB indicators related to the health of Hood Canal natural resources. 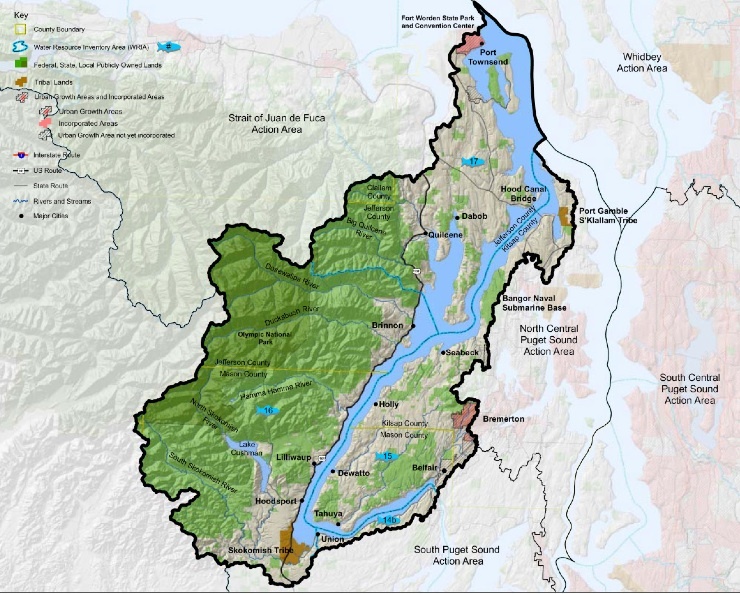 This report summarizes the methods and results of a pilot process for HWB indicator Developing Human Wellbeing Indicators for the Hood Canal Watershed development in the Hood Canal. The data from the process is intended for the HCCC to incorporate into their Integrated Watershed Plan so that future management strategies can take into consideration the effects on HWB and the aspects of HWB that are driving the actual status of environmental health.